in the 15th year of her age. 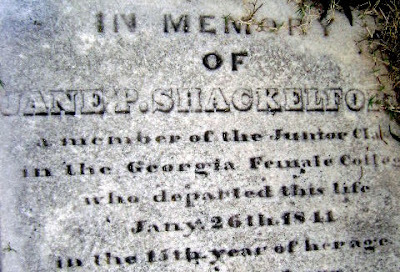 female character, than was to be found in this early victim of the grave. pang, which strikes the parents heart upon the loss of such a child. "Thy will, O God, be done." Credit: original photo by James Allen. Slightly cropped variation above by S. Lincecum.